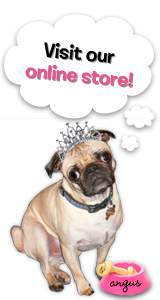 The Rubber Cafe Design Team Blog: Happy Haunting!! I have so many awesome Halloween stamps from The Rubber Cafe. I was thrilled with the adorable things that they had for the season. Including this sweet set called Pumpkin Face Mix and Match which you can find here. Can you see the endless pumpkin possibilities!! How fun!! I decided to make a patch of pumpkins for todays card and I did so by using the masking technique and stamped 3 different pumpkins and then used a face stamp for the middle pumpkin. I colored all with my copics (which can be found at The Rubber Cafe. My cardstock is green and brown my dp is from DCWV Fall Stack and I used a chocolate brown ribbon and some tiny twinkles for embellishment. My sentiment is from another super cute set from The Rubber Cafe called Trick or Treat. Well quick post for me today. I am off to get the kids to school. 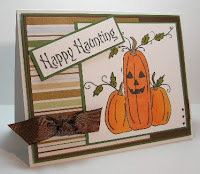 Have a fantastic day and I will be back again next Thursday with another great Halloween Pop Up Card.